I describe the superiority of China’s space-air strategy in my book Space Era Strategy: The Way China Beats The U.S. China’s recent launch of its mobile CZ-VI rocket capable of launching 20 separate satellites with one rocket and successful tests of hypersonic glide vehicles have proved my point. In my post “China Shows Muscle by Launching 20 Satellites with One Rocket” on September 21, I regarded as China showing its muscle China’s launch on September 20 of its Changzheng VI (CZ-5) rocket that sent 20 satellites separately using liquid fuel as the rocket can be used as an ICBM with 20 MIRV warheads. True enough, the next day China’s major military media mil.huanqiu.com published photos to show that the rocket was a mobile one carried on a vehicle that can carry it to a launch site to be erected and launched in no time. I gave my post on September 22 the title “China’s CZ-VI Rocket Puts an End to U.S. Nuclear Superiority” to prove my point that the launch of the rocket was indeed a case of showing China’s muscle before Xi’s visit. U.S. media Daily Beast’s article on September 29, however, seems to regard as the case of showing muscle the successful maiden test flight of China’s “hypersonic” aircraft that was reported by cannews.com.cn on September 18. Indeed that report on the test went immediately viral on the Internet, but according to Daily Beast’s article, the report was “either retracted or censored” “a few days later”. If so, it certainly is not a case of showing muscle. On the other hand, the launch of CZ-VI was reported by Chinese government’s mouthpiece CCTV in its primetime news and in greater details by China’s major military media mil.huanqiu.com to attain the goal of showing China’s muscle. I had not learnt the report on the test of the “hypersonic aircraft” until September 27 when I saw mil.huanqiu.com’s report on cannews.com.cn’s report. I searched cannews.com.cn website but could not find the report. I gave a summary of mil.huanqiu.com’s report in my post “The Mystery of China’s Hypersonic Flying Vehicle”. Daily Beast’s article regards the test as a test of manned hypersonic aircraft, but in fact according to mil.huanqiu.com’s quotes of cannews.com.cn’s report, the report does not mention whether the aircraft is manned or hypersonic. The description in the report can be interpreted as a test in the field of hypersonic technology conducted by a new aircraft capable of flying at a speed and height much greater than the aircrafts China has ever tested. What I am sure is that China’s space-air technology is much superior to U.S. Air-sea Battle strategy. U.S. space shuttles were indeed aerospace aircrafts that can fly at hypersonic speed out of the atmosphere. However, for more five decades, the U.S. has still failed to make any hypersonic flying vehicle and has now been caught up by China who started the research much later. Why? China’s space program is a part of its military efforts while US military is separated from NASA. Space-air strategy integrates China’s space and air efforts while U.S. Air-sea Battle does not include NASA. 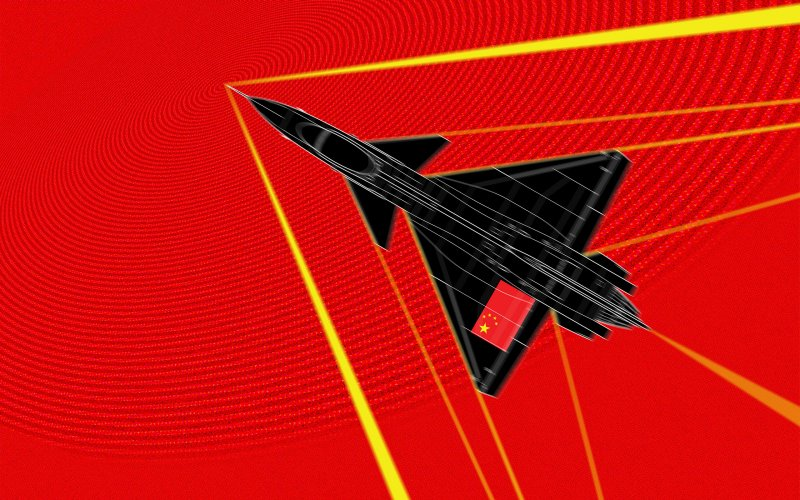 China regards space-air capabilities as its priority as acquisition of the capability to attack U.S. homeland with aerospace aircraft or hypersonic weapons is vital for its active defense strategy. The U.S., however, allocates an insignificant part of its military budget to the development of hypersonic weapons. That was why I said that U.S. political and military leaders were strategy illiterates. On a night apparently in early September, at a flight test center somewhere in China, a dark-painted airplane reportedly took off on a momentous mission—to fly faster than five times the speed of sound, then return safely to Earth. Yes, the September test was a massive technological step. But only if … it actually happened. For as suddenly and dramatically as the news of the aerial trial broke, it quickly evaporated. Now it’s not clear what, if anything, actually occurred in the sky over that Chinese airfield. Reporter Qi Shengjun from China Aviation News is, so far, the sole source for the potentially world-changing development, one that could give Beijing an enormous military edge over Washington. In a dispatch dated September 18, Qi breathlessly described the nighttime test—the “roar of the engine,” the dark-painted aircraft as it “disappeared in the sky,” the “excitement” and “indescribable emotion” of the test team on the ground. But Qi’s news report appeared only briefly at the state-run website of China Aviation News. A few days later, the story was gone—either retracted or censored. The Chinese Communist Party keeps a close eye on the country’s media and routinely suppresses stories it’s not comfortable with. An army of censors working for the Public Security Bureau scours news sites and blogs and other social media sites, yanking any material considered politically sensitive. The censors pay close attention to any Web content describing Chinese military capabilities. Now, at any other time the Party might have been happy to celebrate yet another breakthrough in China’s rapidly developing high-tech weapons industry. But mid-September marked Chinese President Xi Jinping’s first official visit to the United States. In talks with President Barack Obama, Xi struck a conciliatory tone—vowing to crack down on cybercrime, for instance, and also proposing to team up with the U.S. government to shut down the illegal ivory trade that’s driving the slaughter of an estimated 30,000 elephants every year. Maybe September wasn’t the best time to shove a new hypersonic aircraft test in America’s face. Maybe Qi’s report was overeager; hypersonic engineering is a notoriously difficult-to-master discipline. Whatever the reason, Qi’s dispatch disappeared. But that shouldn’t necessarily cast doubt on the underlying premise of his reporting. For years now—decades, even—China and the United States have been making uneven progress toward the very kind of high-tech achievement Qi described. Hypersonic aircraft are not new. In October 1967, the X-15 rocket plane—the product of collaboration between the U.S. Air Force and NASA—achieved Mach 6.7 with pilot William Knight at the controls. That speed record for a manned aircraft still stands. More recently, the Pentagon has been tinkering with a number of unmanned hypersonic missiles and gliders that it hopes to turn into weapons someday. But it’s no easy task to design a vehicle that can travel faster than Mach 5 reliably and safely while also being affordable. Around half of recent U.S. hypersonic tests have ended in failure. More than 40 years after the X-15’s first flight, the Pentagon is still struggling to deploy a hypersonic aircraft it can use in day-to-day operations. Undaunted, in 2013 Lockheed Martin proposed to build a Mach-6 spy plane for the Air Force. “Speed is the next aviation advancement to counter emerging threats in the next several decades,” Brad Leland, Lockheed Martin’s hypersonics program manager, said in a company press release. Not to be outdone, Boeing is working on a prototype drone space plane for the military’s fringe-science Defense Advanced Research Projects Agency. The company hopes the XS-1 will reach speeds up to Mach 10, allowing the robotic plane to boost small rockets into low orbit starting as early as 2019. While America doggedly pursued high-speed aircraft, China raced to catch up. A few years ago, Beijing built the world’s largest wind tunnel capable of simulating conditions up to Mach 9. In 2012, China Aerospace Science and Technology Corporation tested a new rocket-style, solid-fuel engine for hypersonic flights. 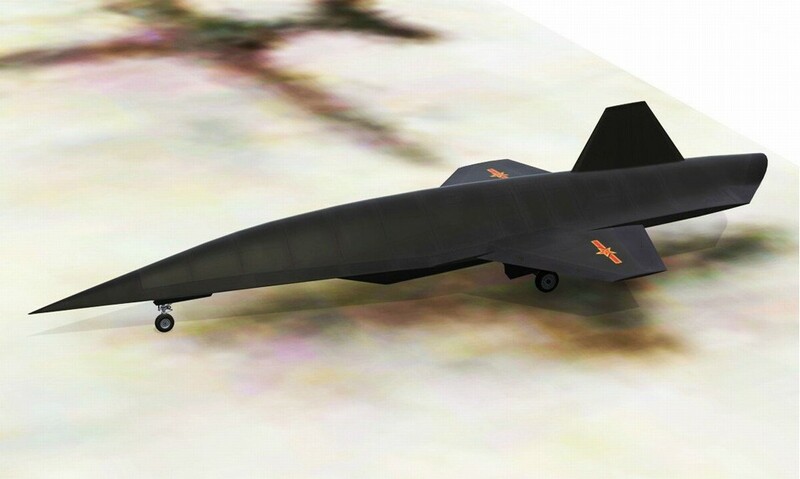 Two years later, Chinese engineers began a series of tests of a Mach-10 glider called the WU-14 that could form the basis of a new missile or drone. The new research warranted a mention in the 2015 edition of the Pentagon’s annual report on the Chinese military. Beijing “is developing and testing several new classes and variants of offensive missiles, including hypersonic glide vehicles,” the report warned. But if Qi’s reporting is accurate—if a manned hypersonic plane just completed a successful first flight—and if that plane someday proves suitable for routine use, then China would no longer be just trying to catch up to the United States when it comes to flying Mach 5 or faster. Indeed, China might have zoomed right past America, potentially taking the lead in super-speedy airplanes. 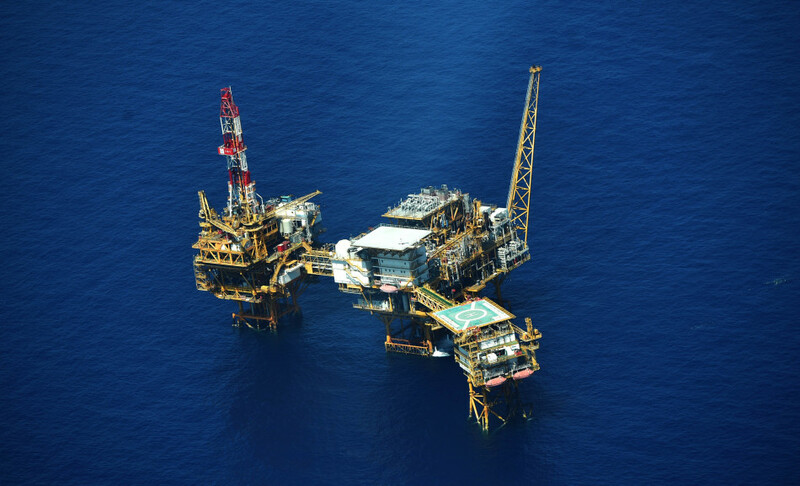 Major Chinese military media mil.huanqiu.com publishes photos today of Chinese oil rigs to the southwest of China’s Hainan Island and the patrol amphibious aircraft and ship that protect the oil rigs. 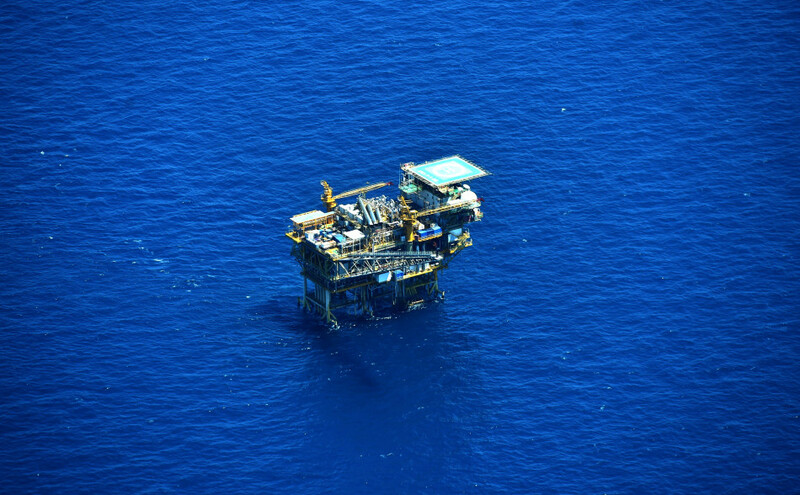 The waters to the southwest of China’s Hainan Island are close to Vietnam where there was serious standoff between Chana and Vietnam when a Chinese oil rig operated there last year. 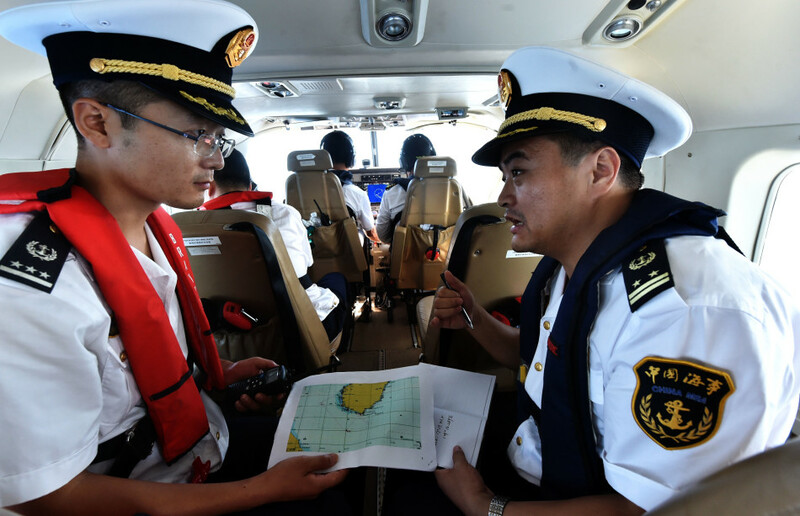 Mil.huanqiu.com says in the report that publishes the photos that China conducted its first air-sea three dimensional patrol on September 25 with the goal “to ensure navigation safety and protect ocean environment”. The total mileage of the patrol is 300 nautical miles covering the usual shipping route and the areas around Chinese drill platforms Yacheng 13-1 and Dongfang 1-1. The shipping route is near Vietnam and the distance between Hainan and Vietnam is only 140 nautical miles; therefore the 300 nautical mile patrol certainly covers most of the disputed waters between China and Vietnam. On the eve of the opening of Tianjin Helicopter Expo on September 9, reporters of China’s mil.huanqiu.com and aviation news weekly interviewed Hong Jiao, vice general manager of AVIC Helicopter and Director of AVIC Helicopter Design Research Institute on development of Chinese helicopters. 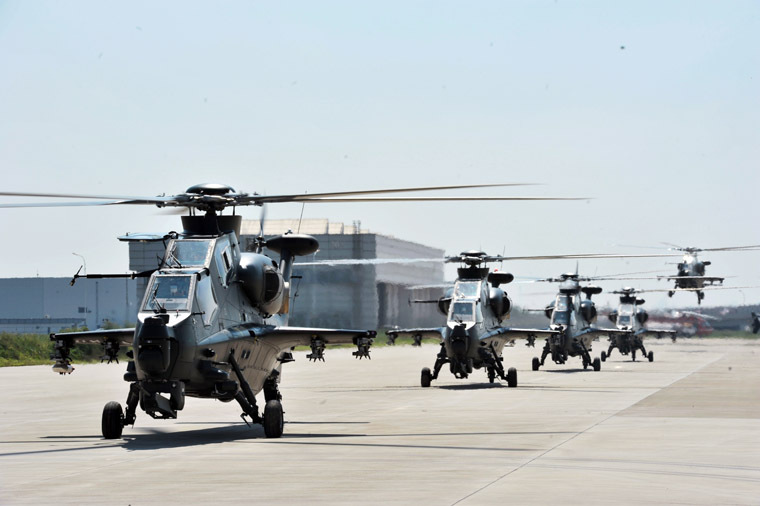 Hong says that now China has the capability of independent research, development and mass production of third-generation helicopters and is conducting research and development of a new fourth-generation helicopter. It is expected that China will have the capability of series production of such helicopters by the end of the thirteenth Five-year Plan (2016-2020). Information about China’s fourth-generation helicopters is classified, but according to Hong, in the future, more importance will be attached to the integrated functions of a helicopter; therefore, a certain technology in China’s fourth-generation helicopter may be not as good as declassified Z-10 regarded as China’s Apache, but those in many other respects will be better than Z-10. Hong says that there have already been concepts of fifth- and sixth-generation helicopter in the world. What he can reveal is that China’s exploration of its future helicopters is not limited to fourth generation. China’s major official media mil.huanqiu.com cites Jane’s Defence Weekly’s report that China is discussing with Russia on the development of a new heavy helicopter. China has no experience in making such heavy helicopters so that it wants Russia’s cooperation as it found Russian Mi-26’ heavy helicopter’s performance very satisfactory for the relief work for the earthquake disaster in Wenchuan. 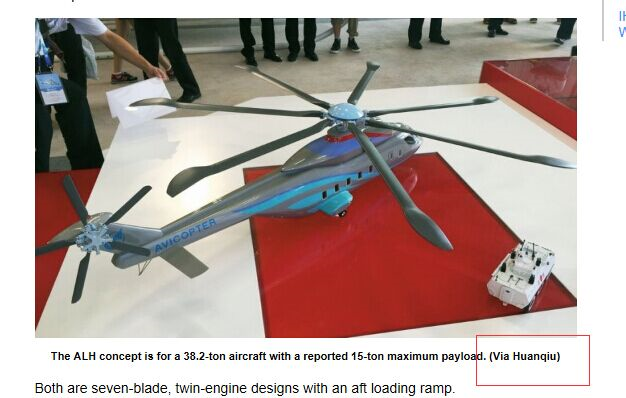 Jane’s says that China hopes to make a heavy helicopter with maximum takeoff weight of 38.2 tons, cruise speed of 300 km/hour, flight ceiling of 5,700 meters, range of 630 km, internal load of 10 and external load of 15 tons. That will be quite an impressive achievement as it is similar in performance to US CH-53K heavy helicopter, which has a cruise speed of 261 km/hour, range of 852 km, ceiling of 4,383 meters and maximum load of 15.9 tons. 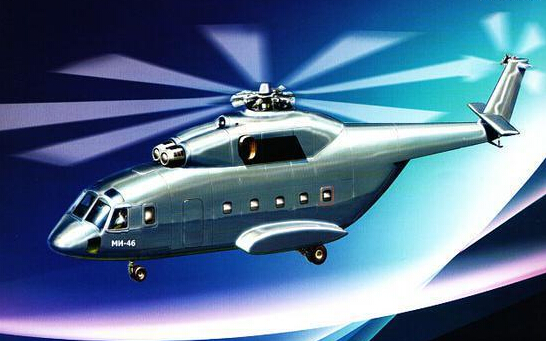 Russia proposed the revival of scrapped Soviet Mi-46 project, but China wants an entirely new project. Through much discussion, the two countries signed an orientation agreement in May 2015. Mil.huanqiu.com says that according to Russian media, China is strong in synthetic materials, electronic navigation, etc. while Russia is strong in engines, pneumatic design, transmission, etc. The two supplement each other in developing the helicopter. According to Chinese sources, China is quite active in discussing with Russia and hopes that the actual work of research and development will begin in 2016 so as to conduct test flight of the helicopter soon. Recently news about China’s test of a new type of high-speed flying vehicle is viral on Chinese Internet. What attracts web users’ keen attention is the cannews.com.cn’s report cited by a Chinese website about a recent very difficult maiden flight test of a certain type of aircraft at a certain Chinese test flight base. There has been much speculation what kind of hypersonic flying vehicle it is in the report. Some believe that it is a hypersonic glide vehicle (HGV), but the test of an HGV does not take hours. This blogger has repeatedly explained in his posts that there is no need for China to militarize the artificial islands it has built in the South China Sea now unless the U.S. conducts military provocation there. As the islands can easily be militarized to function as a few unsinkable aircraft carriers, China now is able to control of the South China Sea with those islands whenever it wants. In addition, aircraft carriers are costly to maintain while the large investment in building the islands can be recovered through the development of tourism, fishery, fish farming and oil and gas exploration and exploitation. However, we cannot deny that with the potential of militarization of the artificial islands, China’s dominance of the South China Sea has been established. U.S. President Barack Obama expressed concerns about Chinese militarization of artificial islands in the South China Sea to China’s President Xi Jinping on Friday, but Xi denied any plan to establish military strongholds there. Obama said their summit talks included a “candid” discussion on Asia-Pacific disputes, focusing on growing tensions in the South China Sea where China has competing territorial claims with several Southeast Asian countries. “I conveyed to President Xi our significant concerns over land reclamation, construction and the militarization of disputed areas, which makes it harder for countries in the region to resolve disagreements peacefully,” Obama said. He spoke with Xi at his side during a joint news conference in the White House Rose Garden. 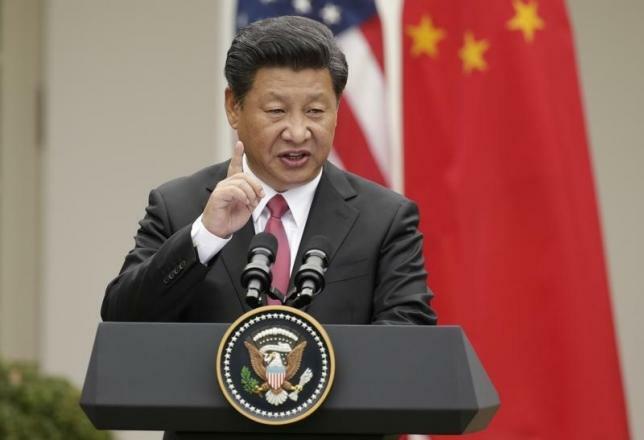 The Chinese leader is on his first state visit to the United States. China has said repeatedly that the artificial islands it has built up on disputed reefs would be used for military defense and analysts say satellite pictures show it has completed one military length runway and appears to be working on two more. Admiral Harry Harris, commander of U.S. forces in the Pacific, told the Aspen Security Forum in July that China was building hangers on one of the reefs – Fiery Cross – that appeared to be for tactical fighter aircraft. Xi, however, denied that militarization was taking place. “Relevant construction activity that China is undertaking in the Nansha Islands does not target or impact any country and there is no intention to militarize,” Xi said, using the Chinese name for the disputed Spratly archipelago. Xi also reiterated that China is committed to freedom of navigation in the sea and to resolving disputes through dialogue. He said Beijing and Washington had a shared interest in this regard. Washington analysts and U.S. officials say the militarization of the islands has already begun and the only question is how much military hardware China will install. U.S. experts say satellite photos from early this month also show China was carrying out dredging work around the artificial islands, a month after saying it had stopped. Harris said last week that China’s runway building and further militarization of the artificial islands was of “great concern” and posed a threat to all countries in the region. Jane’s Defense Weekly published new satellite images of Fiery Cross taken on Sept. 20 that it said showed China had completed the runway on the reef and was moving closer to making it operational. Jane’s said completion of the runway could allow China to accelerate construction of infrastructure and to start air patrols over the disputed islands. The United States on Friday announced agreements with China on a military hotline and rules of behavior to govern air-to-air encounters, just days after the Pentagon criticized China over an unsafe intercept of a U.S. spy plane. The agreements were unveiled following talks in Washington between Chinese President Xi Jinping and President Barack Obama and seek to lessen the chance of an accidental flare-up between the two militaries, despite tensions in the South China Sea. “We agreed to new channels of communication to reduce the risks of miscalculations between our militaries,” Obama told a White House news conference with Xi standing beside him. The new agreement on rules of behavior for air-to-air encounters was broad in scope, addressing everything from the correct radio frequencies to use during distress calls to the wrong physical behaviors to use during crises. The Pentagon says two Chinese JH-7 fighter jets intercepted an American RC-135 reconnaissance plane, with one passing within just 500 feet of the U.S. aircraft. The intercept took place on Sept. 15, about 80 miles (130 km) east of the Shandong peninsula in the Yellow Sea. The Pentagon reported a far more dangerous intercept last year, when, in August 2014, a Chinese warplane flew as close as 20 to 30 feet (7 to 10 meters) to a U.S. Navy patrol jet and conducted a barrel roll over the plane. One U.S. defense official said, the United States will expect “full compliance” with the agreement. 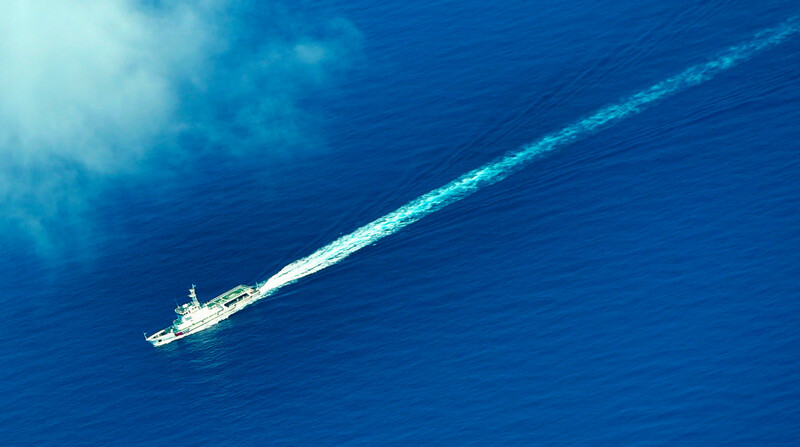 The intercepts are examples of moves seen as an assertion of the expanding reach of China’s military. This month, five Chinese Navy ships sailed in the Bering Sea off Alaska. Closer to home, China’s territorial claims have stoked tensions. Beijing claims most of the South China Sea, through which $5 trillion in ship-borne trade passes every year. The agreement sidesteps such territorial disputes by being “geographically neutral,” the U.S. defense official said. But Obama said he had a “candid” discussion with Xi. “I indicated that the United States will continue to sail, fly and operate anywhere that international law allows,” Obama said as Xi stood beside him. 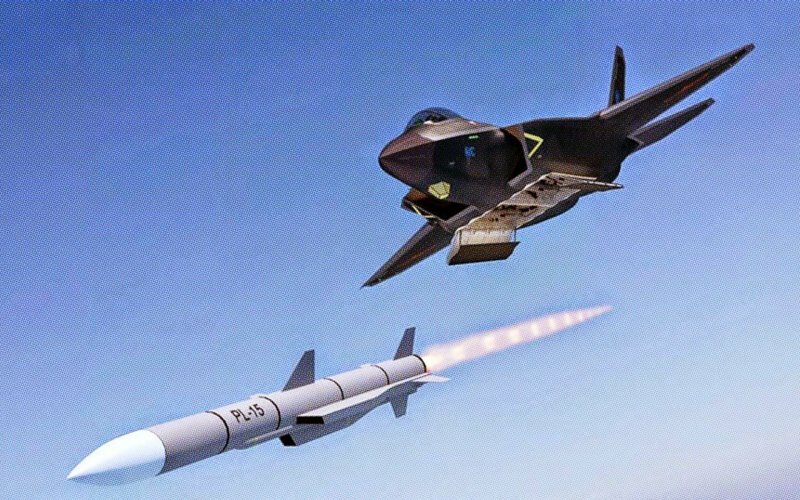 According to Chinese media mil.huanqiu.com’s report yesterday, the website of U.S. media Popular Science monthly says in its report on September 23 that PL-15 has a range of 150 to 200 km longer than all U.S. air-to-air missiles in service. In addition, it has longer active radar monitoring and anti-jamming data chain. Gen. Carlisle said that with an additional ramjet engine, the missile had a longer range to threaten not only US F-22 and F-35 stealth fighter jets but also U.S. bombers and aerial refueling aircrafts.